I work with Paul O’Raw (TCD) to outline a robust sustainability and exploitation strategy. I have also worked with Maria Petritsopoulou (SU) and Santi Fort (EUT) in drawing out the Social Innovation strategy which has crossovers with sustainability planning. Why do you like this project? It has potential to inspire people and help them believe in their soft skills whether these are about leadership or communication. Everyone can be a good leader with the right training! What are the challenges you will be facing to complete your tasks in this project? I see two challenges. The first is to make sure that there is a place and need for such a tool in the market today. The second is to avoid building a tool that will mislead people and direct them to the wrong profession or learning path. What to you hope to achieve in this project? My vision is to be part of a project and team that will make a good impact in helping people believe in their soft skills. 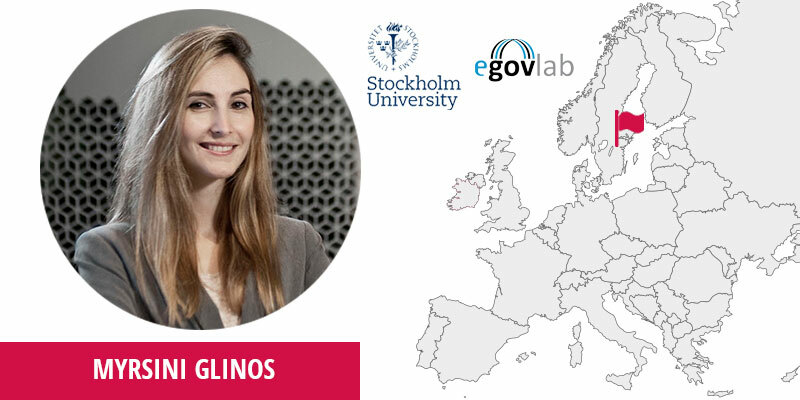 © eGovlab, Stockholm University 2018. All rights reserved. SkillsMatch project is co-funded by European Commission Directorate General for Communications Networks, Content & Technology (DG CONNECT), Unit for Interactive Technologies, Digital for Culture and Education, under the grant agreement no. LC-00822001 (OKT2017). Are soft skills categorised in the same way in all countries? What are exactly NC Skills?